Our planet is reaching a tipping point. As global temperatures rise, the effects of climate change are accelerating around us. From melting polar ice caps to deadly storms to catastrophic floods to raging wildfires, the world is heating up at an unprecedented scale, threatening our very survival. In this man-made epoch, known as The Anthropocene, can we incite change through art? Can we bridge the gap between knowledge and action? 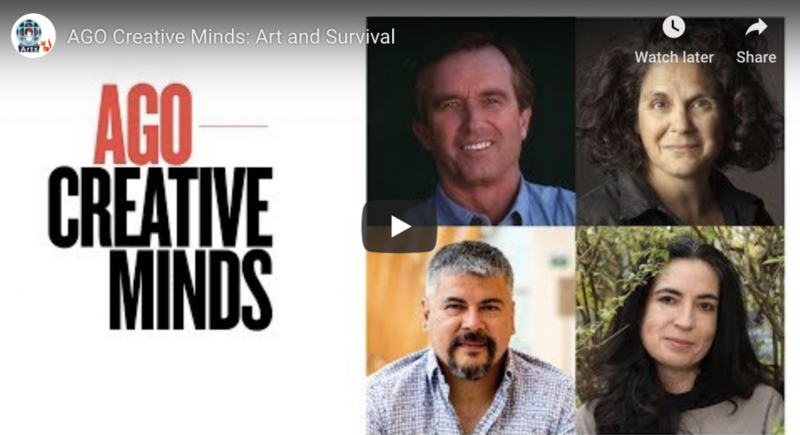 On December 3rd, AGO Creative Minds presents a conversation about our destructive footprint on the planet, and poses the question: can art steer us toward a better future and help us survive.